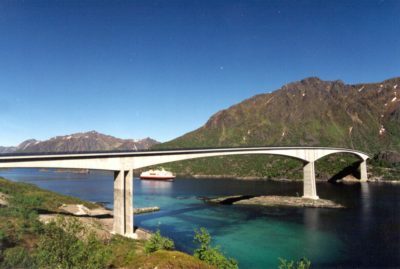 The Nordhordland Bridge crosses the Salhusfjord at a point where it is around 1300 metres wide and 500 metres deep. The only types of structure that could bridge this span would be a suspension bridge or floating bridge. A floating bridge was chosen as the solution, allowing us to combine our bridge and offshore expertise to achieve a unique solution in a global context. Aas-Jakobsen acted as the lead consultant for both the floating bridge and cable-stayed bridge elements. We worked in partnership with Veritec for the floating bridge deck. As well as delivering the preliminary project, which included the concept design, tender documents and detailed design, Aas-Jakobsen was also very much involved with supervision during the construction period. 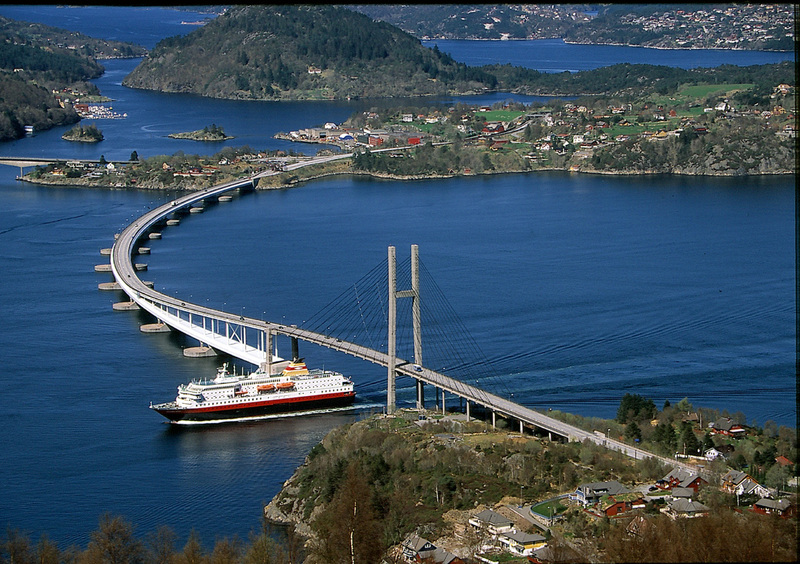 The Nordhordland Bridge is made up of an end-anchored floating bridge with a total length of 1246 metres, and a cable-stayed bridge with a main span of 172 metres and one pylon. The floating bridge has 12 spans, each with a length of 113 metres, and floats on 10 pontoons made from high-strength lightweight concrete. It is anchored directly to the shore at one end, and at the other end is anchored with the aid of a caisson submerged and set into rock at a depth of around 30 metres. The bridge deck is an orthotropic steel box girder with a height of around 5.5 metres. The deck is about 11 metres above the water, and is connected to the fixed part of the bridge via a lightweight ramp at one end of the floating bridge section. The cable-stayed bridge has one onshore concrete pylon, with foundations built directly on rock. 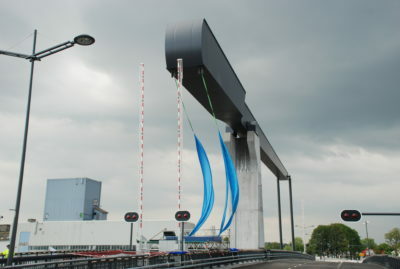 The bridge deck is fixed to the end anchors of the floating bridge element, and is made from high strength lightweight concrete with a double-T cross-section. The cable stays are of the parallel wire type. The bridge is a technical pioneer, and is the only one of its kind in the world. Because of its unique features, stunning visual design and our excellent partnership with the Client, the bridge stands out as a groundbreaking and successful project. The project attracted a great deal of international attention and has received several awards. 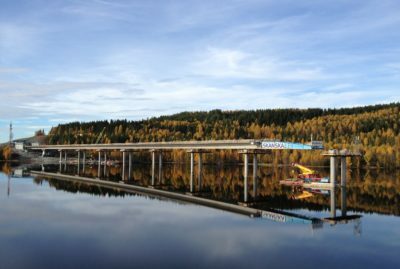 It has given Aas-Jakobsen a unique opportunity to market itself as an expert on floating bridges and bridge crossings in general, and this has helped the company to win several new contracts.